There is a saying that real strength is found in midst of fragility. Virsaviya is an example of that. 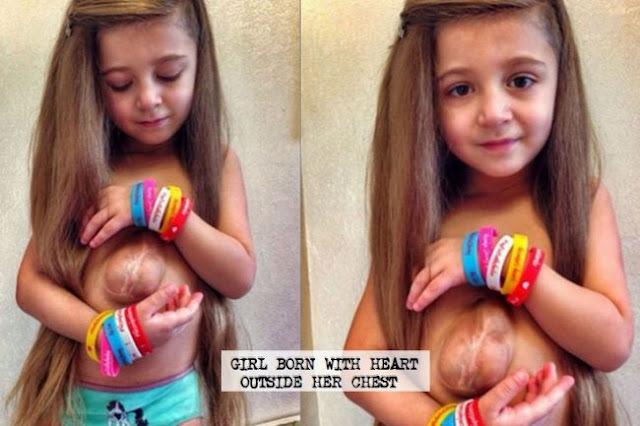 Virsaviya Borun-Goncharova was born with a condition called Pentalogy of Cantrell. In other words, she was born with her heart outside of her chest, just under her skin. Even though she is extremely fragile, she is living life more fully than most people. She is dancing, running and playing like every child. And on top of that, she is the sweetest girl you’ll ever see. She is full of love to give. Maybe we should all learn from her to bravely reveal our ‘hearts’ to the world instead of being so afraid that we might get hurt, because that’s exactly how she lives!